To get back to scar healing, I've finally had the chance to try Odacité's Pa+G oil and I really like it! I finally understand what you meant with a little goes a long way. I'm not sure if I'm supposed to, but I just applied it directly onto my skin as a serum. The packaging said to mix it with a moisturiser? What would you recommend? Oh wow! It seems like Cell Perfecto PM took the redness, scars AND pimples down?? Thank you for documenting this, it is so useful for me! Hello! I am one of the ones who troubled you with when this will be posted and I am so glad to have waited for the most informative review. 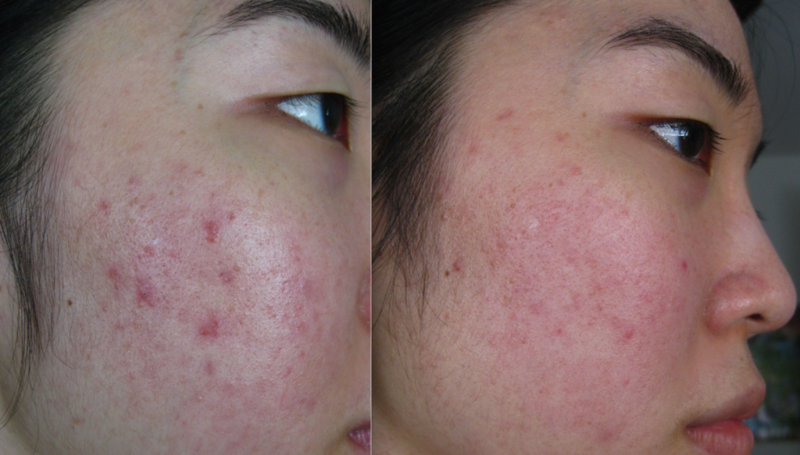 The results are amazing even compared to your skin repairing itself, it just seems to accelerate it so much. It also looks like your skin generally looks brighter, more smoothed and toned in the pictures too! This sounds lovely, thanks for sharing your skin journey! As a fellow acne struggler, I am always on the hunt for the best products and YÜLI has definitely impressed. Their ingredients and formulations are so beautiful! I'd love to try more from them. The results look amazing! I'm so happy for you & know the feeling of relief you must feel when everyday you skin gets a little better. My skin took a turn for the worst in November after two years of okay skin, now I basically have cystic acne again along my jaw raising up my cheeks. The annoying part is new ones pop up in identical places to old ones, doubling the scar and I just just know they will leave a ice-pick style scar too if they ever leave. What a thoughtful review! It was your blog many months ago that inspired me to try Cell Perfecto, and I am finally finishing up my second bottle. It has helped soothe & heal my acne prone skin in a tremendous way. I had tried many oils & serums in my (occasionally desperate) journey but none had the staying power of Cell Perfecto. It is not a magic bullet – I still got a breakout here and there – but it really sped up healing, toned down the severity & improved the overall clarity of my complexion. It encouraged me to feel that my skin wasn't a lost cause, it just needed time & care from all angles, topically & otherwise. I can finally muster the courage to go without foundation – which is huge (security blanket since my teens). Thank you for initially introducing this serum to me & I am so happy to see you've had such a great experience as well! Wow, the results are amazing. To be honest eventhough I love green beauty, skincare in general makes me feel like everything just is 'good' for skin but to see the literal results from Cell Perfecto, wow! Hi Jade! I am soo happy for you, I'm on my 2nd bottle of Cell Perfecto, and like you I've never looked back. Cell Perfecto takes awhile to work, but it really does. I do realize now when I use non-green products, my skin instantly has some sort of reaction and I really have to work hard at healing it again. It's really frustrating to have clear skin, and then you do something and the resulting spots take forever to go away (which's why I'm now starting to make the slow switch to clean makeup as well! Do you have suggestions?). Cell Perfecto PM really cuts that time down by half! It's a stellar product I recommend to everyone. I feel you dear, my skin has recently started to break out along the jaw and the neck which is strange and I've never had acne on my neck before. It's incredibly painful and annoying. I would say try to change your pillowcase often and keep you hair away from your face. That really helped me! I read on Caroline Hirons' blog that silk pillowcases help, so I'm on the hunt for a good quality one now. And yes please do get CPP when you can, it's really amazing! Thank you Ashtynne!! I hope you try CPP soon 🙂 Oh I love Liquid Courage as well! So sorry to hear you had the same reaction to coconut oil 🙁 But I'm glad that your skin also instantly started to heal after abstaining from it! Exactly what my skin did too. Thanks Ana! I definitely agree–I like to think that my skin and the serum were able to hold hands through the process and get through it faster. Always room for another serum 😉 Will have to check out the Antonia Burrell serum! Thank you Annabel! 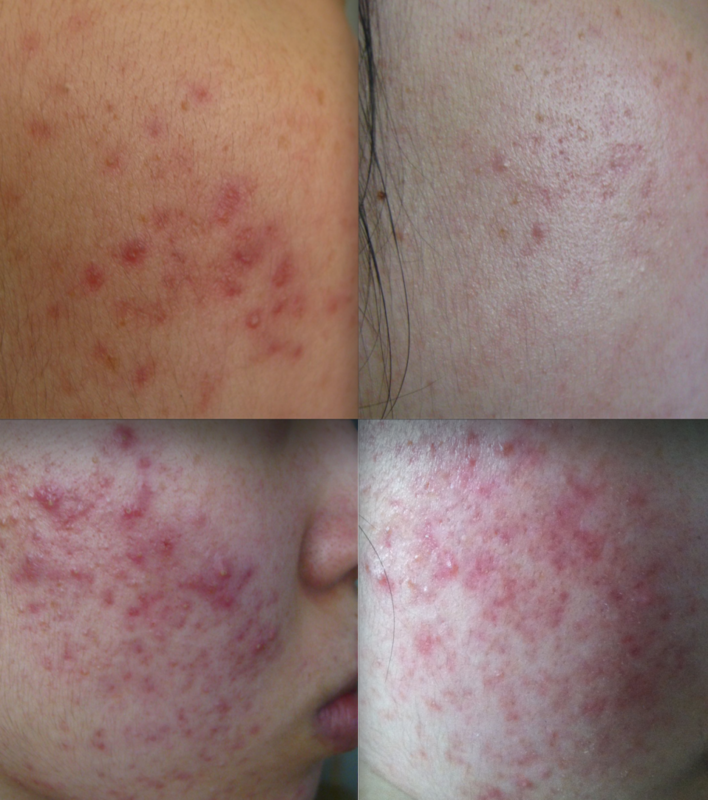 I'm so sorry to hear about the cystic acne 🙁 Last fall I also got a strange bout of acne along my jaw and neck which I think arose with stress for me–it gradually died down after several weeks–since then I've tried to be mindful and manage my stress with yoga, meditation, and herbs. I definitely agree with you!! And I've also heard about silk pillowcases–and they not only just great for acne–I've heard they're also easy on the hair (less hair breakage and such). On my list too! Hi lovely!! Thank you! Keep going forward, girl! So happy to hear it works so well for you too. I love clean makeup too!! My go-to foundation is mineral foundation by Alima Pure or W3ll People–I've tried to make friends with cream foundation, but whenever I switched back to minerals, the little breakouts on my cheeks disappeared. I love Kjaer Weis blushes and their mascara is the only mascara that doesn't smudge on me. Ilia Beauty makes tons of gorgeous lippies. I think our skin types are pretty similar, I should probably give minerals a try too! Could it be that cream's are too heavy for us? I'm wondering which green mascara to try, I have very thick and heavy lashes for an Asian but they point downwards. So most importantly the mascara needs to be able to hold the curl too! I'll check the brands you mentioned out, thanks dear! YULI seems like such a magical line. On my student budget I have only been able to afford some of their samples and I don't know if it's good or bad because what I have tried has only made me want to purchase their full sized things even more! That's exactly how I started getting into their line–I bought a sample of Panacea, then a full size of Panacea, and it just kept rolling down the hill. On the plus side, they do last months and comparing side-by-side ingredients and prices with other brands, they can be comparable (mostly on the elixir side). Hope you will be able to try more! Hi lovely! I'm so sorry it took me this long to comment on your amazing review. The flu knocked me out entirely and I was just a mess. But, like I said before – your skin looks so healthy and GOOD in your pics with regular use of Cell Perfecto PM! I know how hard us acne-prone and acne-scarred women struggle with the way our skin looks and it's the ultimate triumph when an Asian mom says your skin looks good, hehe. 🙂 I know I nearly fistpumped the air when my mom declared my skin looked good. 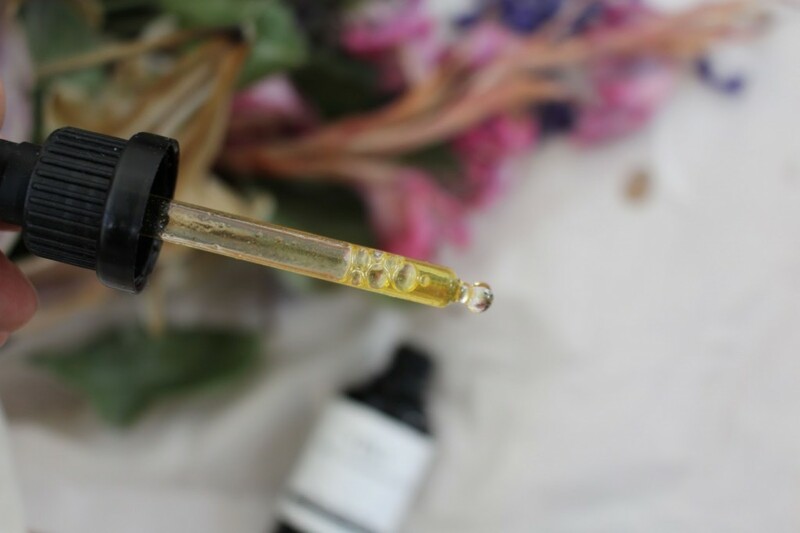 The funny thing is, I almost bought Cell Perfecto PM, but then I realized I had amazing results with using skinnyskinny organics' facial serum ($76) in healing my breakouts. I was really surprised because that serum isn't really marketed as a skin brightener, but my skin loved it! So if you're in a market for a solid facial serum for acne-prone people, I recommend that one too. 🙂 P.S. I don't know which cleanser you're using right now but I found my skin so much healthier and less breakout-prone when I used Laurel's Oily/Combination Cleanser. I love it! It's definitely something I'm re-purchasing. Wow what a thorough review! Such a good idea to take pictures at regular intervals as means of encouragement and to really see the difference these serums can make. Good job, Jade, and congratulations on the improvement 🙂 I'm just now almost done with my first bottle, and struggling with the decision if I should repurchase or not, because even though CPM doesn't aggravate my existing acne, it does little to stop new ones from cropping up. From that perspective, I've had much better success with Liquid Courage (and even Modern Alchemist). Curious to know if you've tried these two serums or not, and if you have, would you still repurchase CPM? 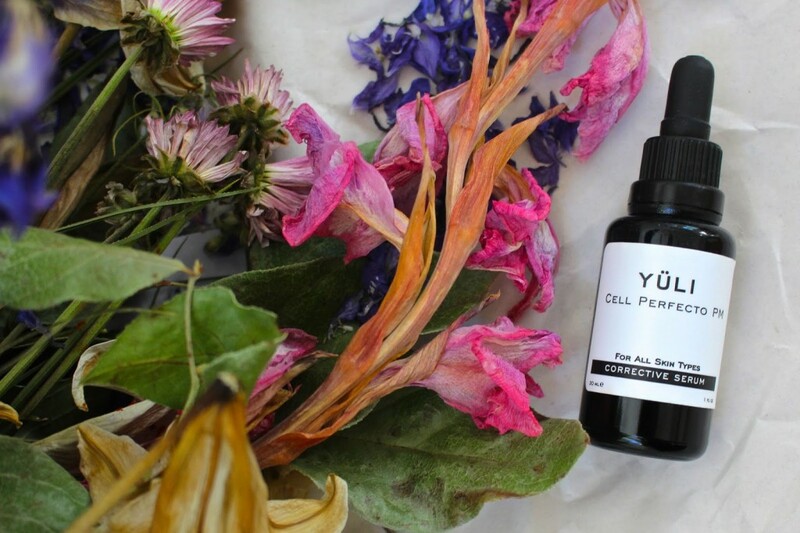 I've tried almost all Yuli serums (except Mr. Incredible), and feel like my skin improves equally from other serums as well. Wow I am amazed at the before and after. You're so thorough with tracking the improvements too. I feel so many products talk about how good for your skin it is, and this one you REALLY do see! I have been using Cell Perfecto PM since November and my skin already feels lighter, on account of some scars being "lifted". Can not recommend this product enough! Thank you Seema! 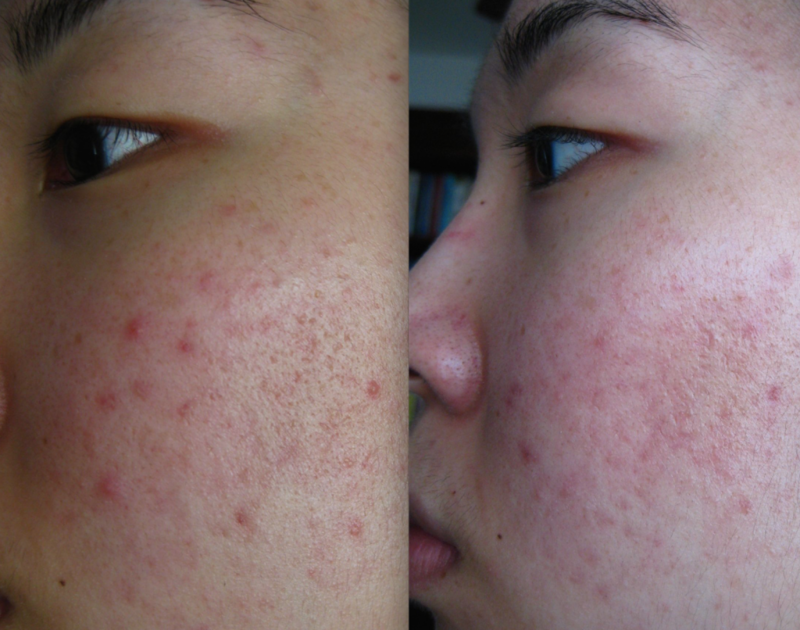 In the beginning, I wasn't tracking for the serum/a future post, but to attempt to see what things in my life aggravated or improved my acne, and to see if my acne was improving at all. I absolutely agree with you–you really do see results! So happy to hear you've had great results with this too!! I hope your skin loves it!! Wow so many comments. I just wanted to add.. I used it for the first month and thought "meh". I could have sworn that I saw no difference but then on Valentines my LDR guy flew out to surprise me and the first thing he said was "whoa your skin looks great!" before proceeding to wonder if I did fraxal. I think taking pictures really helps because seeing the small progress day to day sometimes you don't see the changes over time.